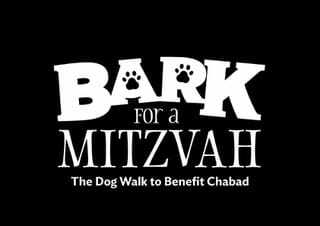 On May 5th 2019 let your dog bark for a mitzvah! Let's unleash the power of our furry friends and raise much needed funds. Register and get your limited edition t-shirt. 10am 3K Walk to finish line. Register Today as a Walker or Sponsor!